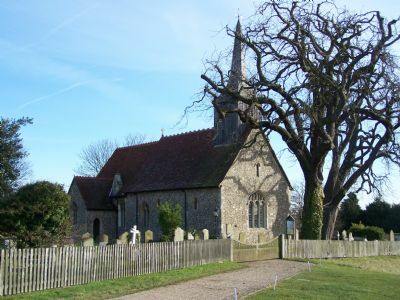 You will find St Peter and St Paul's church off Church Road/Baker's Lane, surrounded by the fields of Ratcliffe Farm. 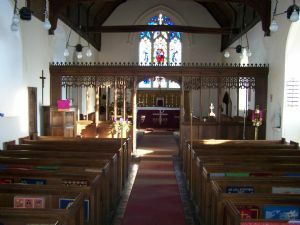 Inside you will find a quiet, peaceful beauty and a reverence that has come from prayers spoken there for over 800 years. Around 40 people join together on Sunday mornings for our main service. On most Sundays this is a Sung Eucharist, which is carried out with reverence and space for quiet reflection. We have a livelier Family Eucharist on the first Sunday of the month, where it is easier for children to be more involved in the service. We love having children and families as part of our community, and there is also a Sunday Club on the fourth Sunday of the month with activities for children from toddlers to teenagers. There are a number of groups and activites connected to the church - the Women's Fellowship, the Choir and Junior Choir, the Bellringers - and all of these are very happy to have new members, so do take a look at the relevant pages on the website to find out more. If you have any queries please don't hesitate to be in touch: you can find details of how to do this through the 'Meet our Team' page.